Tampa, Florida (September 26, 2017) – Risk & Insurance® magazine has chosen Tim Liberty, Senior Claims Consultant for Baldwin Krystyn Sherman Partners (BKS-Partners), a 2017 Risk All Star. A judging panel of Risk & Insurance® magazine editors select the annual list of Risk All Stars. Winners stand out from their peers by demonstrating exceptional problem solving, creativity, perseverance and passion when faced with challenges. Their stories provide readers with ideas, solutions and motivation to overcome similar challenges. Tim Liberty joined BKS-Partners in 2015. His positive relationships with adjusters elevate his expertise and quality of client service. He is passionate about nurturing relationships and showing appreciation to those who go above and beyond. Before joining BKS, he was a senior claims specialist for three years at Liberty Mutual Insurance. He also served four years in the Marine Corps as an Infantry Squad Leader with tours in Bahrain and Iraq. “Tim’s knowledge, insight and attention to detail ensure that our clients have better claim outcomes. The value he brings gives our client’s peace of mind before, during and after a claim event,” Amy Ingram, Commercial Risk Management Director. Risk & Insurance highlights Tim’s vision and his dedication to clients. You can access his Risk All Star profile here. 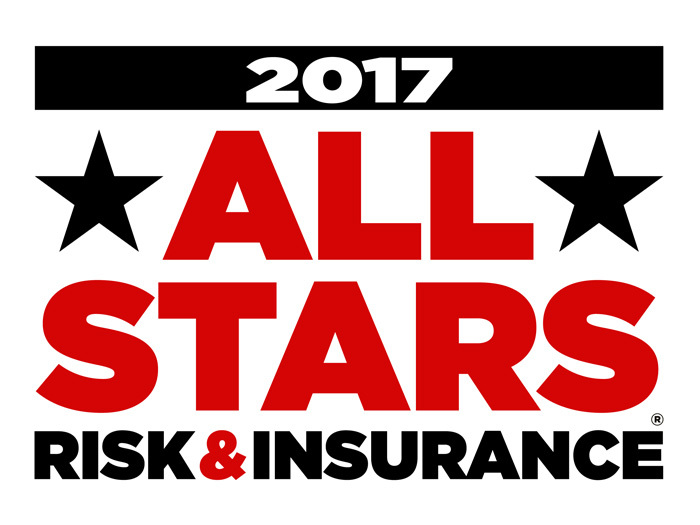 See the full listing of 2017 Risk All Stars here.